The giant tuna fishing is practiced with hot water, between May and October. 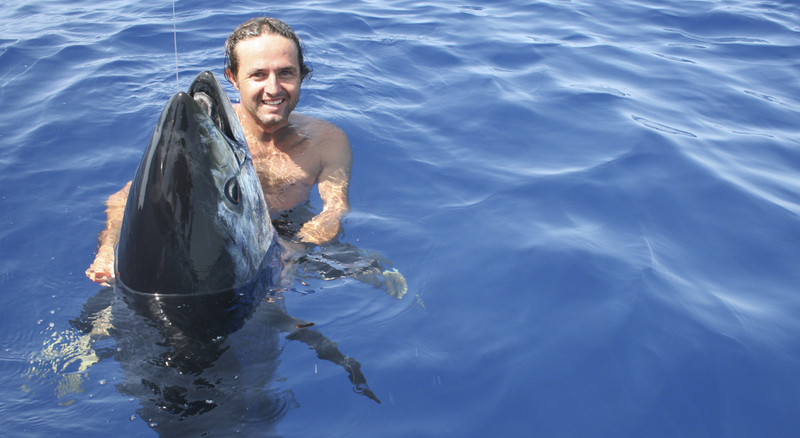 However, some studies and, above all, the experience, has determined that it is also possible to catch the giant tuna during all the year due to the existence of large banks of tuna in the North of Mallorca. For this practice, the boat is anchored in the open sea and is baited with sardines, mackerel or horse mackerel, or even live bait to attract the giant tuna. In this way, anchored on one spot, the best results are achieved. 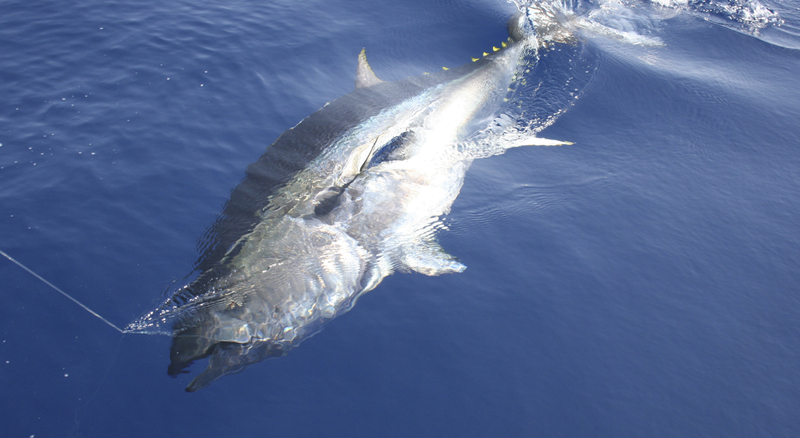 The giant tuna catches go from 50kg to 200kg, and are used rods and reels of 50 to 80 pounds. In addition to the giant tuna, swordfish can be fished.